In our exposé of the United States Agency for International Development (USAID), Free trade = Unemployment we pointed out this agency’s shameless outsourcing of American jobs. Under director Rajiv Shah, USAID will partner with private outsourcers in Sri Lanka to teach workers there advanced IT skills like Enterprise Java programming, as well as skills in business process outsourcing and call center support—so they can replace American workers. USAID will also partner with Armenia—a nation anxious to lure computer work from American workers—to promote the development of the country’s information technology industry. Prior to taking over as head of USAID, Rajiv Shah was was employed by the Bill and Melinda Gates Foundation for seven long years! This reveals how the Gates Foundation really uses the U.S. government to promote Microsoft, and the outsourcing of American jobs. Microsoft was recently in the news for paying 27¢ an hour to Chinese workers. Now, at the request and sponsorship of Microsoft, USAID chief, Rajiv Shah has scheduled a seminar with Microsoft, near Bill Gate’s home and foundation in Seattle, Washington. One might suspect that Rajiv Shah is on Microsoft’s payroll, or be rewarded with a cushy job at Microsoft or the Foundation, when he leaves USAID. After all, what Rajiv Shah is outsourcing are American computer jobs, and for Microsoft—which is worth a lot to Microsoft. 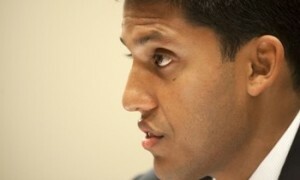 Global Washington is pleased to host an event with USAID Administrator Rajiv Shah in Seattle on Friday, August 13. Following remarks from Administrator Shah, a panel discussion will feature thought leaders from the public and private sectors. They will address technology’s impact on global development, with a specific focus on food security, foreign aid effectiveness, global health and entrepreneurship. This event is co-sponsored by Washington State University and Microsoft. In addition to Rajiv Shah, in attendance will be Dr. Akhtar Badshah, Senior Director of Microsoft and Sylvia Mathews Burwell, President, Global Development Program, Bill & Melinda Gates Foundation—all in the Microsoft family. So what can Americans do about this? If you are unemployed or not, and are in the Seattle area, you should do your best to attend the seminar. Seriously, any concerned American who can show up, and protest should do so. Free parking available at venue, along with free admission, and free refreshments. Hopefully, they will be serving tea, so you can make a Tea Party out of the seminar (as in let’s get ready to rumble). 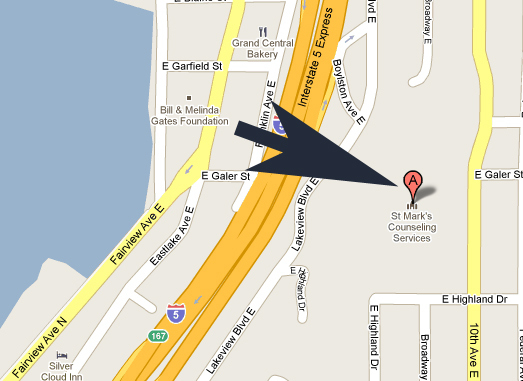 The seminar will be held not far from the Gates Foundation - how convenient!